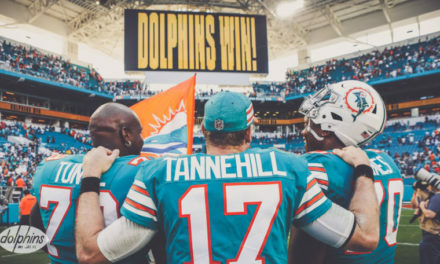 We are now less than two weeks away from the 2019 NFL Draft, and the Miami Dolphins are still in need of a plethora of talent, particularly on the defensive side of the ball. Yes, the team needs more depth at the corner position as well as on the defensive line (particularly on the edges), but assuming that the team runs some form of a 4-3 defense this season, this team needs linebackers. 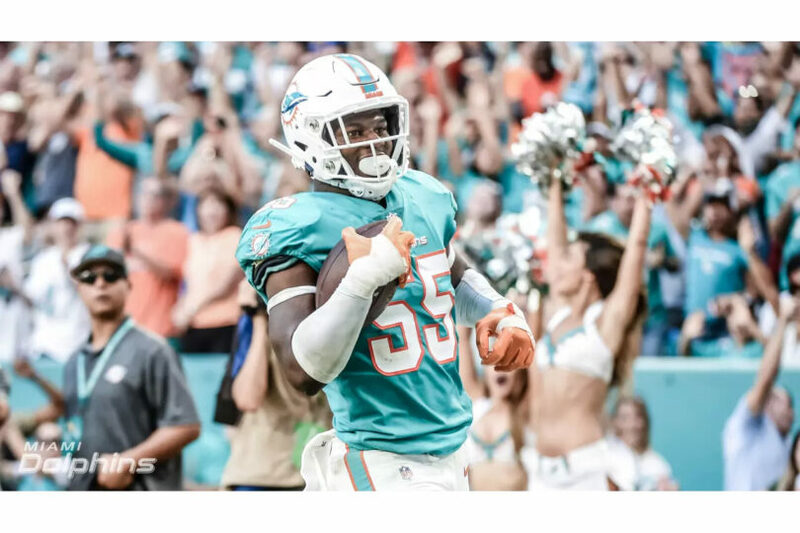 Raekwon McMillan, the Dolphins 2nd round pick in 2017, had a rough start to 2018 coming off of a torn ACL, but appeared to figure things out and played much better as the season progressed. Jerome Baker, the a 3rd round pick in the 2018 draft also played very well in spurts and looks to be in good position for a starting job this season as well. Although these two young players have a lot of potential and hopefully will continue to progress at the rate they did last season, there are still plenty of question marks regarding who will be playing alongside them in the second level of the defense. Kiko Alonso is the wildcard of this group. 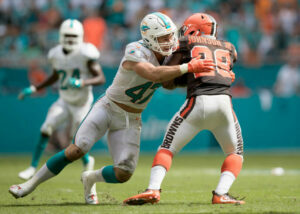 Coming off of a season in which he led the Dolphins and ranked 10th in the entire league with 125 combined tackles, Alonso was nothing short of a liability in coverage. Yet, week after week, the coaching staff put him in positions where he was lined up across from every opponent’s pass catching tight end. Maybe the new coaching staff sees Alonso playing the other inside spot of the 4-3 scheme next to McMillan. 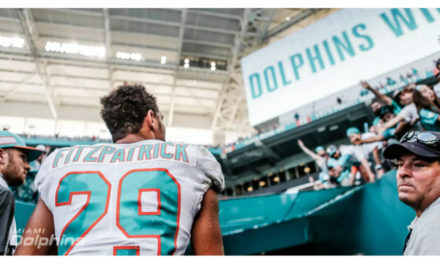 He had success in 2016 playing the middle of a 3-4 in his first season with the Dolphins, but since moving to the outside his performance has been inconsistent. 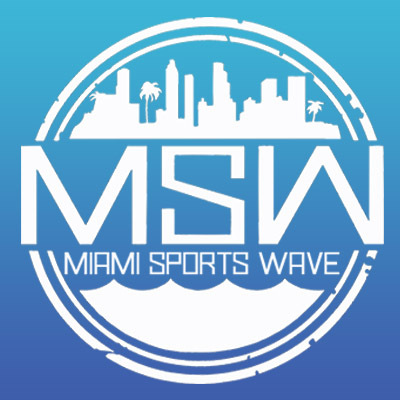 This season the 29-year-old Alonso will cost the Dolphins around $8 million, with a dead cap hit of $6 million, so it would not make much sense to cut him. Next season, however, he would only cost $1.7 million in dead money if the team decides to move on. At this point, he is still a very valuable player if he is used the right way. However, as we saw in the first Buffalo game last season in which Josh Allen ran for 135 yards on 9 carries, Alonso is a liability when he is asked to make plays in open space. Maybe Chris Grier can work some more of his magic this offseason and find a suitable trade partner who believes they can utilize Alonso’s strengths, or maybe this new regime will move him back inside and can find a way to put him in a position that is more suitable for his skill set. 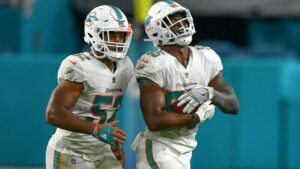 Whatever the case may be, I do not see Alonso fitting well on the outside of a 4-3 scheme, which means that the Dolphins should be searching for another starting outside linebacker and maybe another inside linebacker as well. Look up the greatest Dolphin LBs. 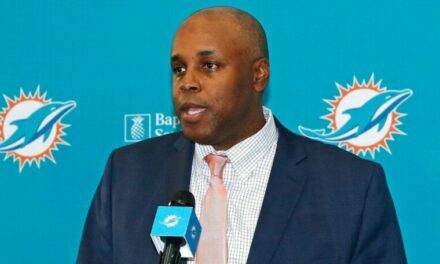 Alonso needs to be traded so we can get that next great Dolphine LB. We need to set the Bar high in all the positions (Coaching as well) so we can play with attitude and be Winners! I’m so tired of losing.